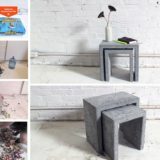 We came across the idea when ombre colour fades and gradients became so trendy in fashion and home decor and the more we researched how to get the effect, the more we realized that it’s actually a really versatile crafting project that can be a whole lot of fun and result in all kinds of different, very impressive finished products! 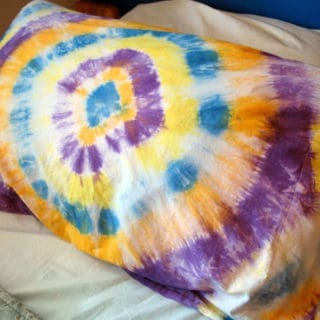 We’ve been hopping online periodically to collect and bookmark different DIY dip dying projects ever since. 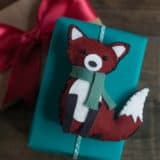 Just in case you adore the concept of dip dying all kinds of things around you just as much as we do, if not more, here are 15 of the most stylish looking and unique designs that we’ve come across in our search so far! 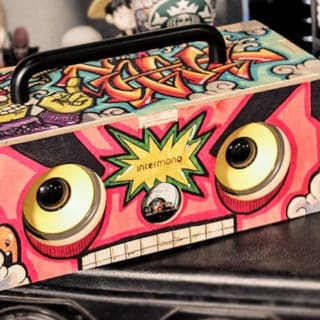 When we started talking about dip dying things, did you automatically assume we’d only show you fabric projects that are altered with liquid dyes? 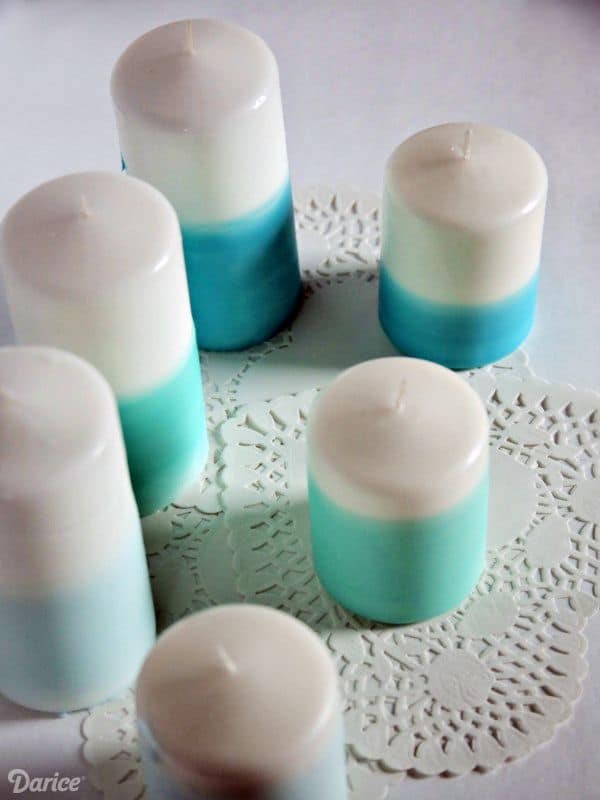 Then we think you’ll be pleasantly surprised to see this awesome wax dipped candle idea outlined step by step on Darice! 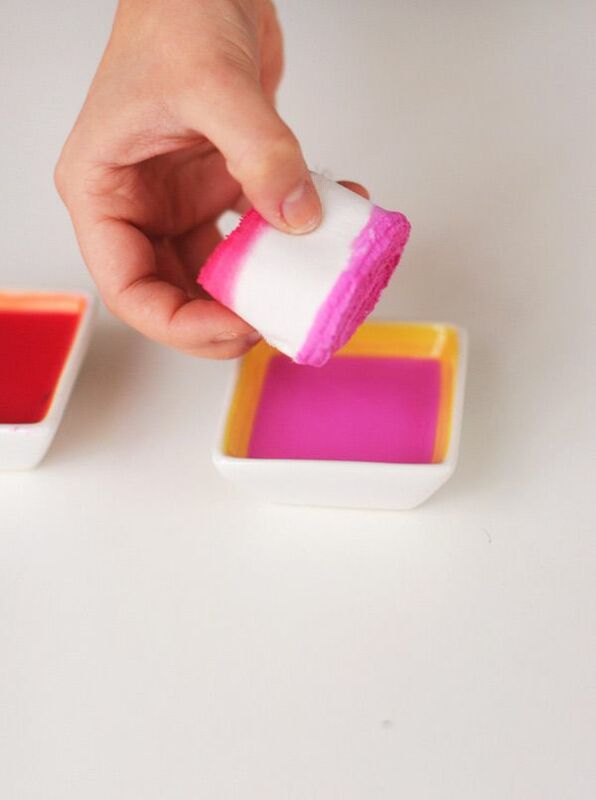 Their tutorial shows you how to make it happen by melting down coloured wax crayons and dipping white candles into it, letting the wax dry like a colourful layer. 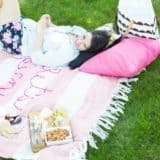 Now, we know we’ve talked by this time all about how you can also dip dye things that are not fabric but that doesn’t mean we don’t also love fabric dying crafts as well! In fact, we love them so much that we’ve honestly spent the last year or so dip dying just about every piece of fabric in our house besides the couch. 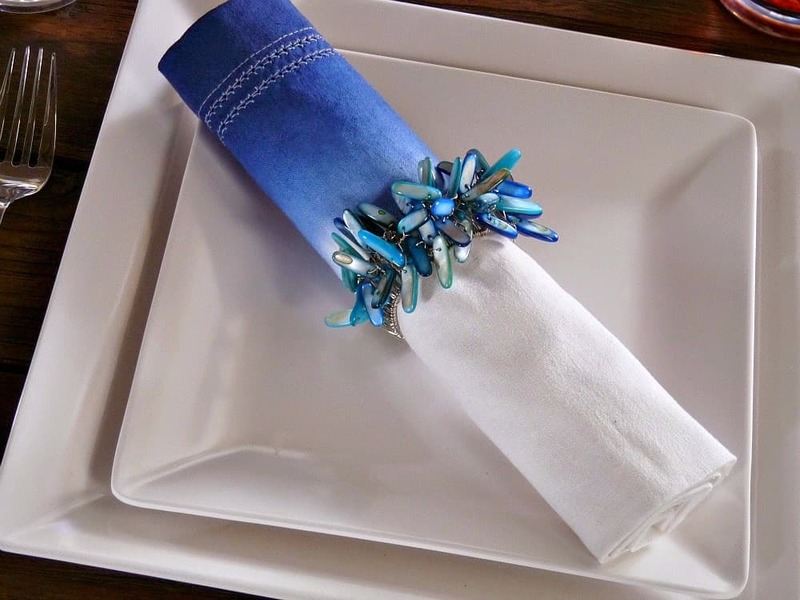 These lovely ombre dyed cloth napkins outlined step by step on Dans Le Lakehouse is no exception, but ours were bright pink! 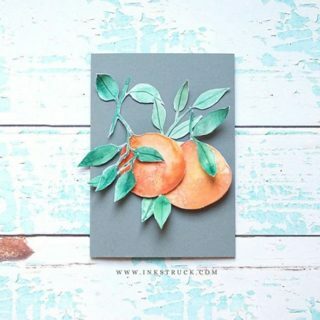 Just in case you’ve never looked beyond the classic techniques, just because you’re trying to get that kind of angled, ombre dip dyed effect actually doesn’t have to mean that you’re dipping the object you’re dying at all! 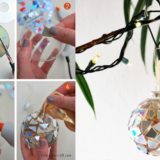 This lovely angled and colourful frosted glass project featured step by step on Gotta Love DIY is the perfect example of what we mean. 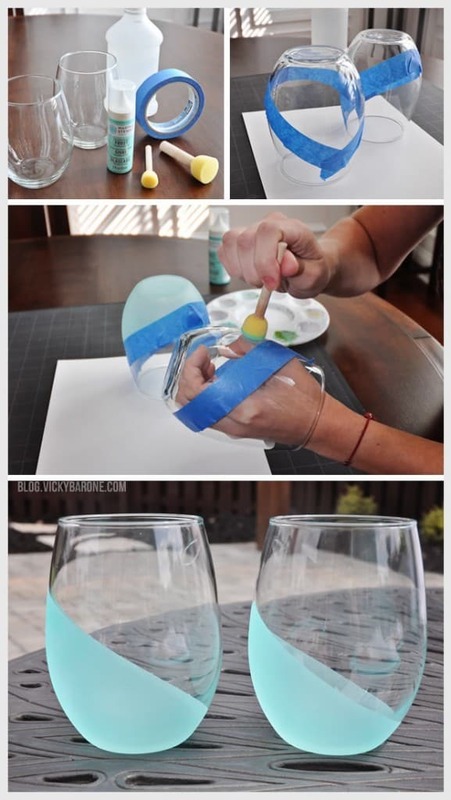 Instead of dipping your glasses in liquid to add colour, you’ll be taping off your line and using a sponge to dab the paint and frosting solution onto its surface. 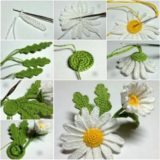 The technique is a little different but the effect is largely the same! 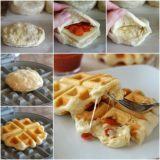 Believe it or not, fabric ins’t the only thing that you can dip dying using actual dipping techniques, because it’s actually not the only substance that will absorb colour! 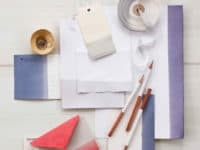 As Martha Stewart has outlined in such a neat way, you can also actually dip dye paper and we’re pleased to tell you that we’ve tried it and its a surprisingly simple and amusing project. 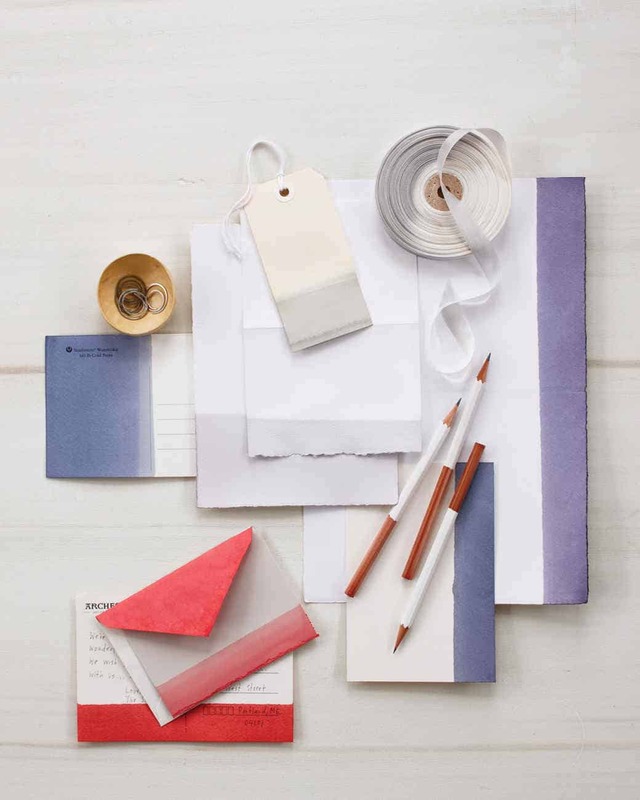 We can’t get over how much we love this fantastic idea of making custom brightly coloured stationary using their simple dip dying technique. 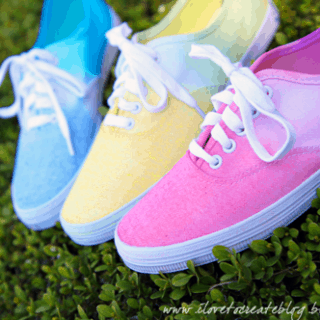 Just like fabric and paper, yarn will also take on liquid dye as well, pretty much no matter what it’s made of! 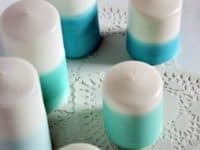 In fact, if you use the kind of end soaking technique that you’ll find in this tutorial featured on Homey Oh My, you’ll see how an ombre effect can be created by just letting the dye travel up through the fibres until it stops naturally. 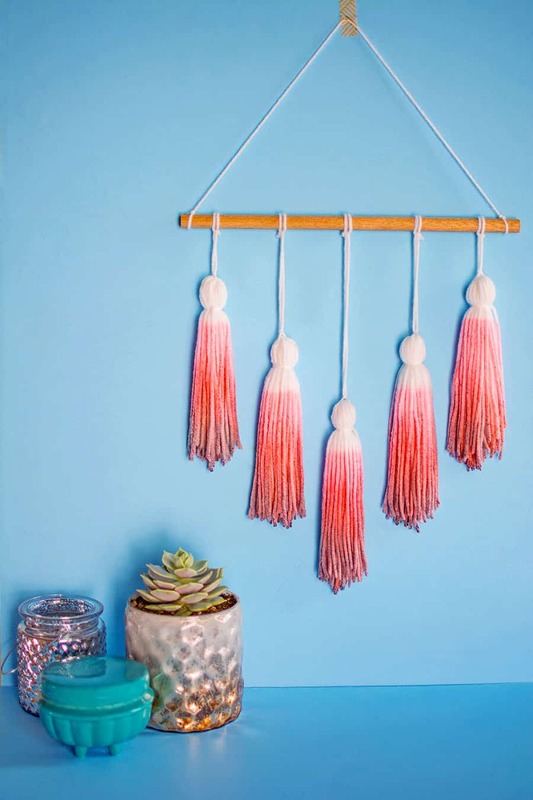 We love the way they let those tassels stand out and be the centre piece of this wall hanging just by tying them around a wooden dowel. 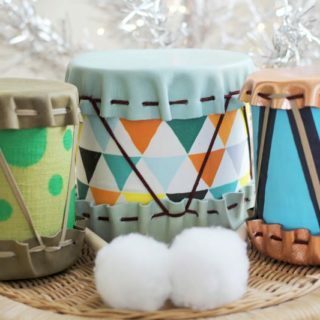 Are you actually the kind of stylish crafter who adores following trends, whether they’re in fashion, home decor, or the DIY world itself? 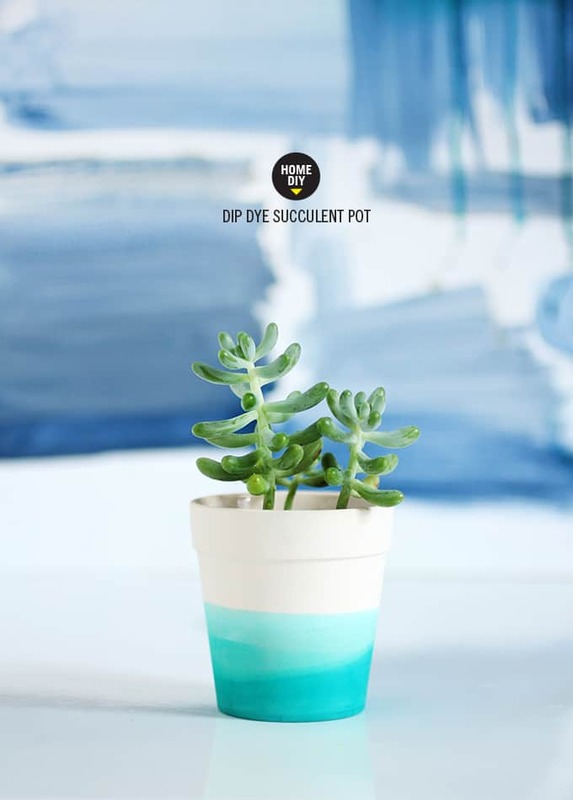 Then maybe you’d prefer to combine your love for ombre dip dying with your love for something else that’s really big right now, like succulents! 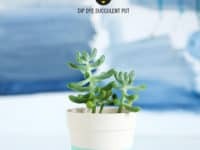 We’d definitely suggest taking a look at how I Spy DIY used dip dying techniques to add colour to a little terra cotta pot to hold their succulents, which are huge in simple home decor. 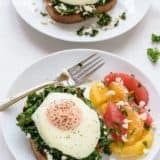 Were you actually so into the results you got when you dip dyed your fabric napkins like we showed you before that you started wondering whether there might be other things in your kitchen you can give an ombre dye job to, just to make a full colourful kitchen set? 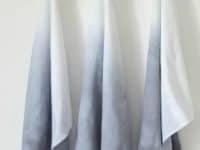 Then we have a feeling you’ll get along very well indeed with this fantastic dip dyed tea towel set outlined step by step on DIY Projects. 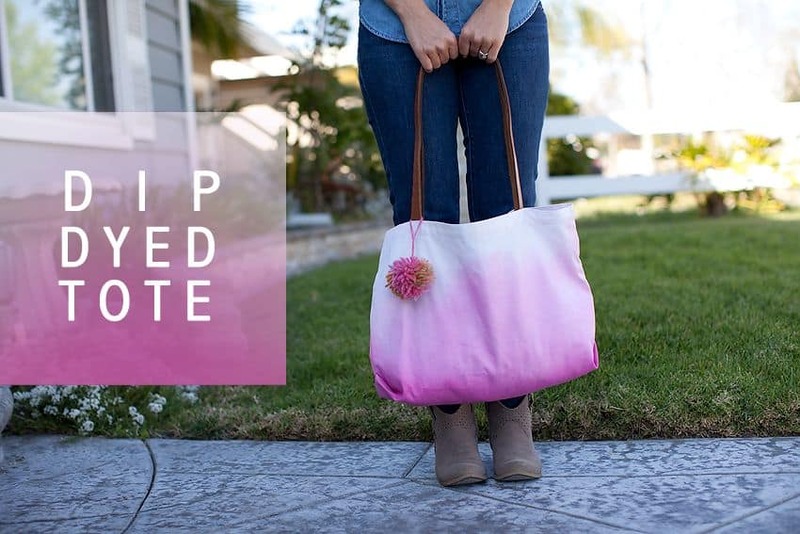 Are you actually such a big fan of the dip dyed effect you’ve been seeing on the fabric projects we’ve shown you so far that you can’t help but wonder whether there might be a DIY to include it in your personal style through accessorizing? 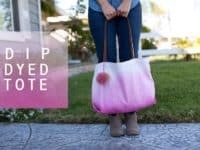 Then we think you’ll be very into this fantastic ombre dip dyed tote bag that Kristin Eldridge shows you how to make! 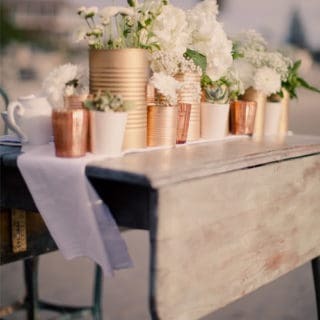 We love the pink colours they chose but we think this project would look fantastic in just about any shade. 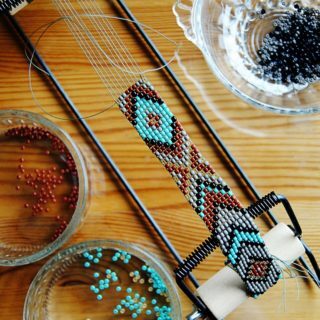 Are you actually quite experienced in the art of dying fabrics and materials, including dip dying, so you’re looking for something that takes a little bit more skill so you can challenge yourself and get some practice? 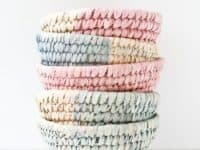 In that case, we’d definitely suggest taking a look at how Ruffled double dip dyed this beautifully colourful ribbons to make them two toned on each side. Whether you wrap these around a gift or wear them in your hair, we promise it’ll look gorgeous. 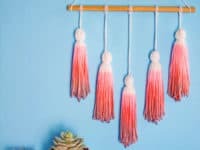 Were you actually a huge fan of the dip dyed yarn tassels project we showed you earlier because you just can’t resist how fantastic the tassels look, but you’re also just not sure that a wall hanging is something that will really fit in your space or suit your current decor scheme? 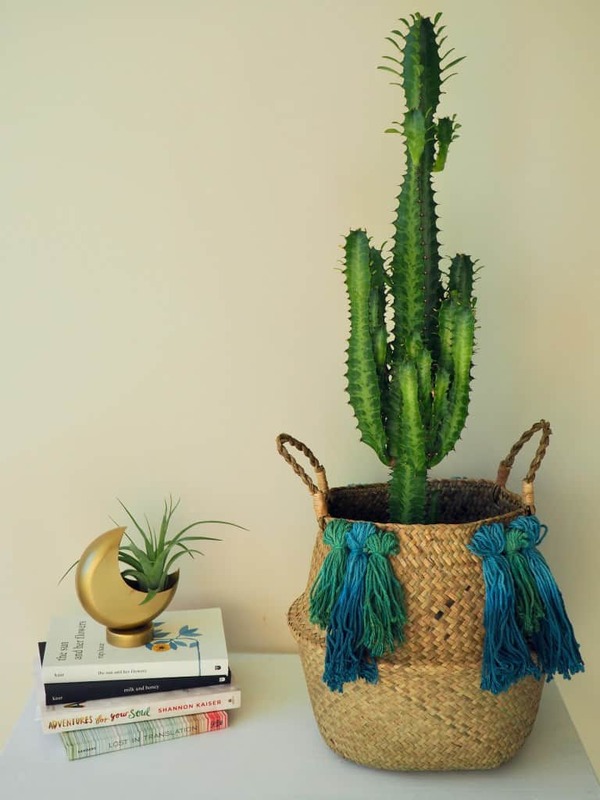 In that case, we’d absolutely suggest taking a look at how We’re Going to Make It created a dip dyed yarn tassel basket instead! 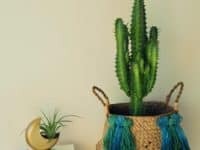 They put a cactus in a planter pot inside theirs, but we think this project will look awesome no matter what you decide to store in the embellished basket. 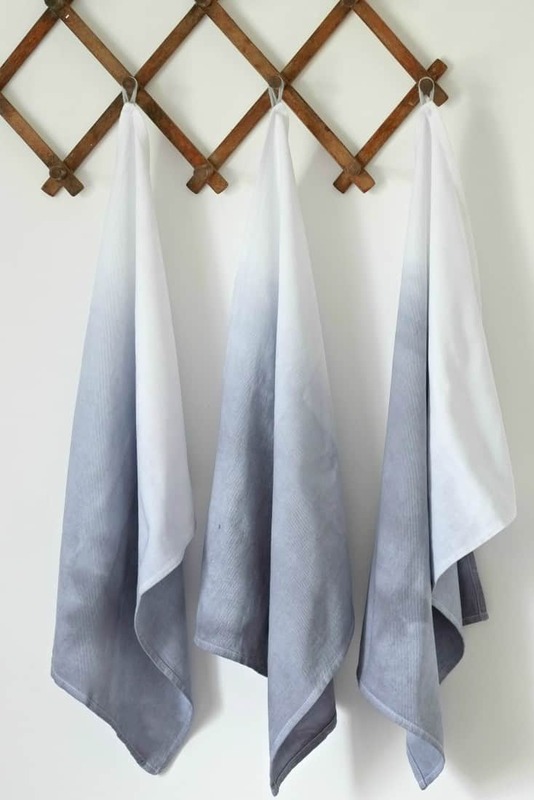 Are you very interested indeed in the idea of incorporating dip dyed fabrics into your home decor, but you’ve been scrolling through our list and thinking that you might prefer to make something that will make a slightly bigger statement than some of what you’ve seen so far? 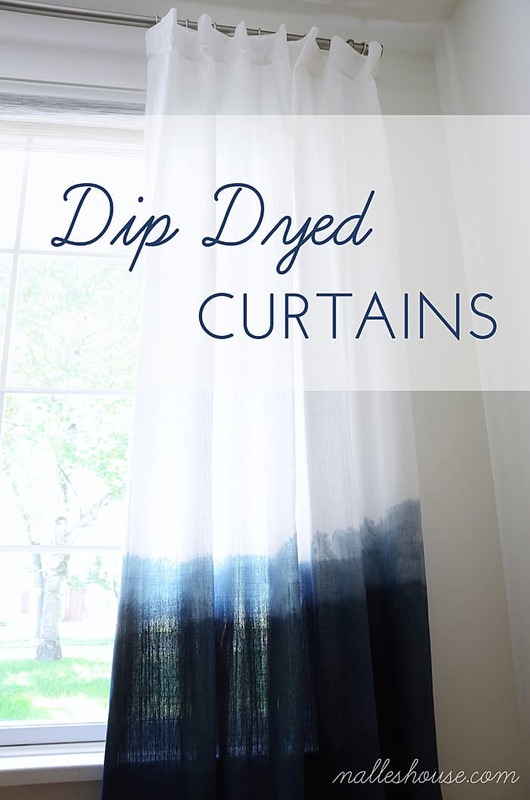 In that case, we think you might get along a little better with this tutorial from 4 Men 1 Lady that teaches you step by step how to make dip dyed curtains that colour fade from a deep shade at the bottom edges to up to a start white near the top. 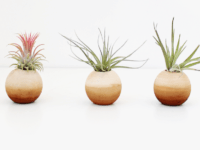 Did we really catch your attention when we started talking about dip dyed terra cotta pots for succulents, but you’re kind of underwhelmed by the shape of the regular older pots that you’ve seen everywhere, so you can’t help wondering whether there might be other kinds or shapes of dip dyed pots you can make? 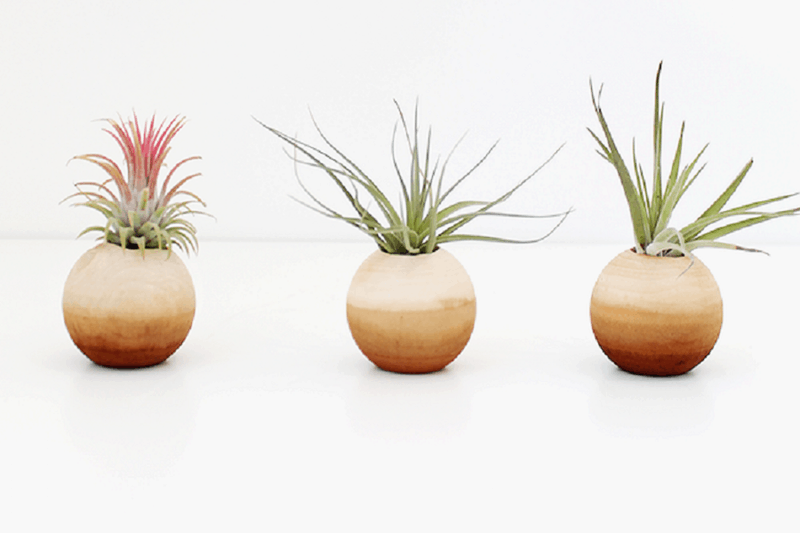 Then we’d definitely suggest taking a look at how Almost Makes Perfect made these fantastic wooden air plant pots that are neutrally dyed but still have a stunning ombre to them. 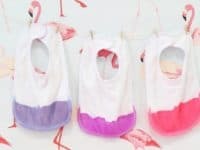 If you’re going to start including wonderful elements of ombre dip dye in your own style and accessorizing, why not incorporate them into the way you dress your baby as well? 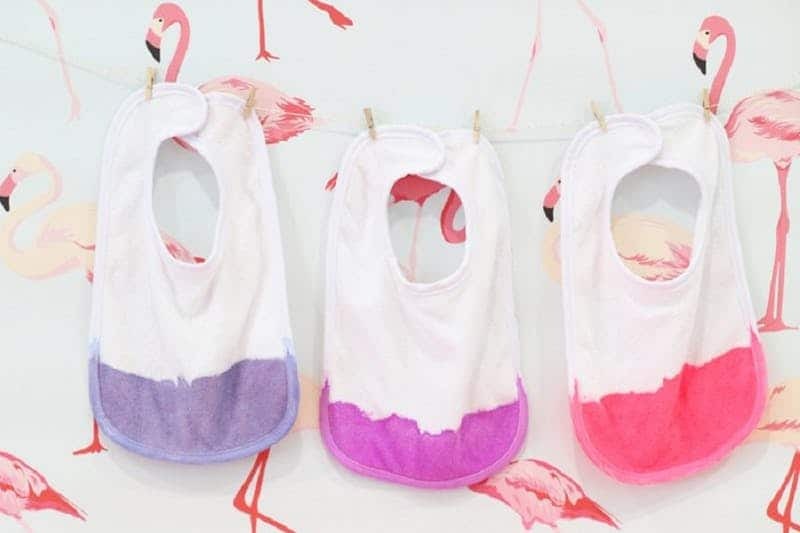 In that case, we have a feeling you’ll really appreciate the way Lovely Indeed shows you how to dip dye these fantastic baby bibs (using non-toxic dyes, just to be safe, since baby’s like to put everything in their mouths). 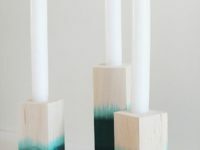 Are you still thinking about the colourful dip dyed candles we showed you a little earlier on our list but you’re just not sure that working with melted wax quite appeals to you? 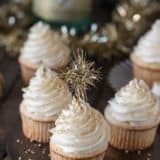 Perhaps the kind of candle you like to burn the most is actually the thing kind that needs a stick of some kind because it doesn’t stand on its own. 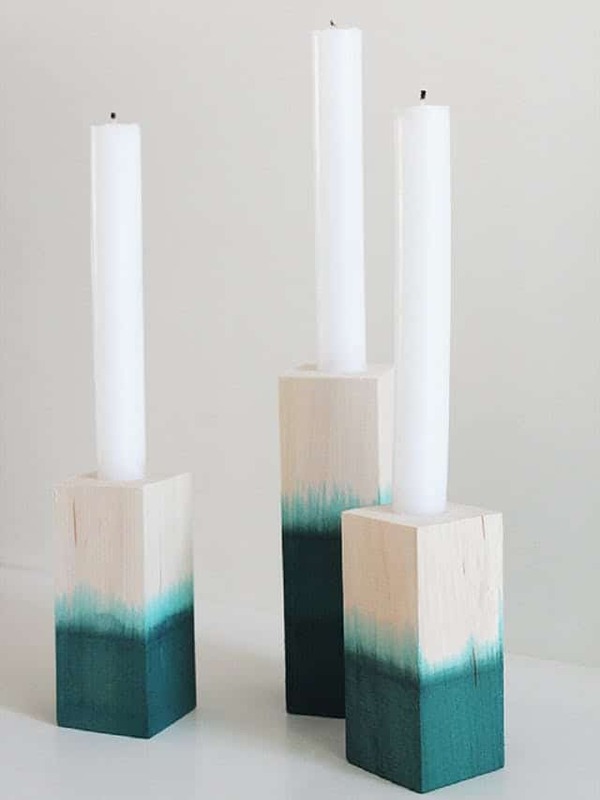 In that case, we’d definitely suggest taking a look at how Almost Makes Perfect made these wonderful candle holding blocks that are, like all the other beautiful things we’ve shown you so far on our list, dip dyed! Did we really catch your attention with the different directions and angles we talked about when we showed you how to double dip dye the ribbons or angular dye the glasses, but neither of those objects are things that you think you’d really use? 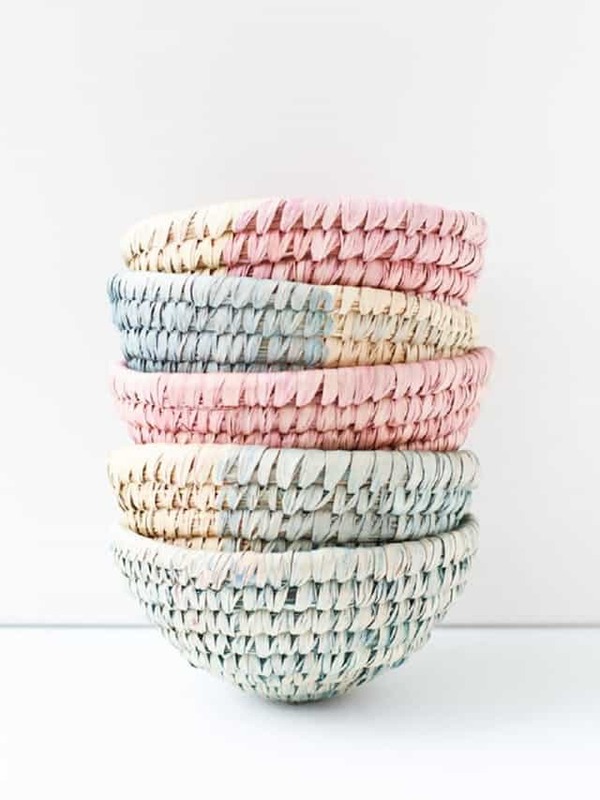 Then perhaps you’d get along a little better with something like these wonderfully angular and pastel dip dyed baskets featured on Paper n’ Stitch! 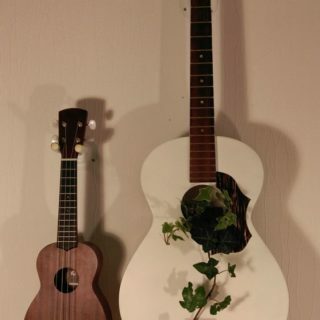 We think they’d make very pretty trinket, magazine, or fruit baskets.